Twitter users send on average 140 million tweets a day and one billion tweets a week, according to new statistics released by the micro-blogging site. Twitter is five years old this week. In a blog post yesterday the company said it is growing at a "record pace". On 21 March five years ago, the first tweet – "invite coworkers’ – was sent by Jack Dorsey, co-founder and chairman of Twitter. It took three years, two months and one day for the billionth tweet to be sent. 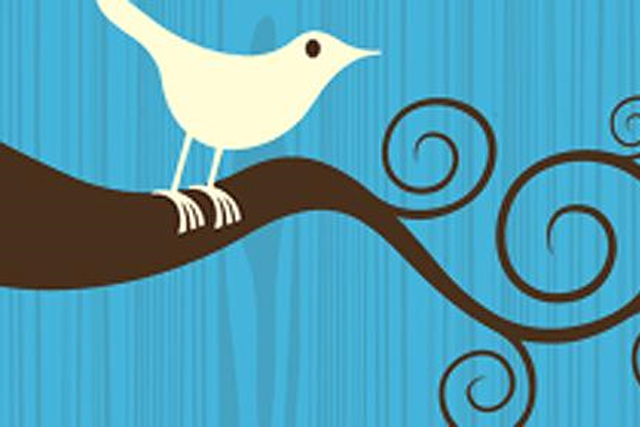 The number of tweets per day has risen by 180% from a year ago, when an average of 50 million tweets per day were sent. Twitter has signed up 460,000 new accounts per day, on average, over the past month. This peaked on 12 March, 2011, with 572,000 signed up. It has not disclosed how many Twitter accounts there are in total but the figure is believed to be in the region of 200 billion. Mobile users have grown significantly by 182% over the past year, according to Twitter, which again has not disclosed their total number. It has also revealed the record rate for tweets per second, which was on New Year’s Day in Japan – just four seconds after midnight when 6,939 were sent. By comparison, an average 456 tweets per seconds were sent on the day Michael Jackson died on 25 June 2009. San-Fransico based Twitter now has 400 employees, up 50 from a year ago. Twitter has started to serve ads in the US in the form of "promoted tweets" and "promoted accounts", as it continues to search for ways to monetise the platform. It has not launched a similar product in the UK yet, but it is believed to preparing to do so later this year when it sets up a UK office. Close-Up: Can social media promote pay-walls?